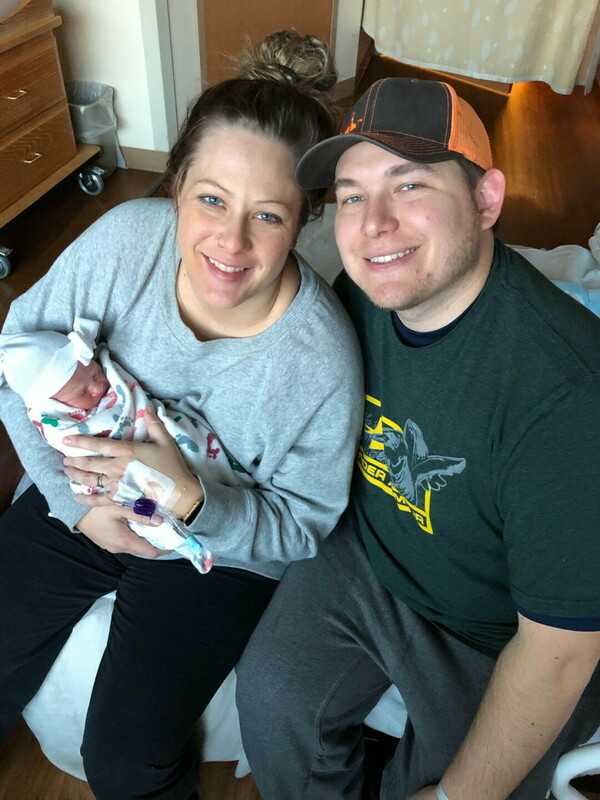 Penelope Brinkman, the first baby of 2019 born at Mayo Clinic Health System in Eau Claire. Anyone who’s ever had to name a baby know that the prospect poses a host of challenges. Do you pick something traditional or contemporary? A family name or something unfamiliar? Short or multisyllabic? Common (so your kid isn’t perceived as “weird”) or rare (to avoid being one of five “Jennifers” in the class)? Like all the baby-namers before them, the parental class of 2018 went through all of these questions and more, quizzing friends and relatives, consulting baby-naming books and websites, and compiling lists of favorites until at last settling on a finalist. Many of the most popular baby names of 2018 at Chippewa Valley will be familiar if you’ve perused similar lists in recent years: Among boys, traditional (dare we say old-fashioned) names such as Henry, Jack, and Charlie are near the top, while the most common girls’ monikers are a mixture of the classic (Evelyn, Eleanor, Amelia) and the contemporary (Adalyn, Kennedy, Kinsley). Below are lists of the top baby names of the just-completed year at Mayo Clinic Health System hospitals in Eau Claire and Menomonie, HSHS Sacred Heart Hospital in Eau Claire, and HSHS St. Joseph’s Hospital in Chippewa Falls. Spellings sometimes vary, and numerous names tied in popularity.